Novelist Gerald Weaver was in the audience on opening night of my new show and was kind enough to write this review. Be sure to pre-order your copy of his new book, The First First Gentleman–a prescient title if there ever was one. 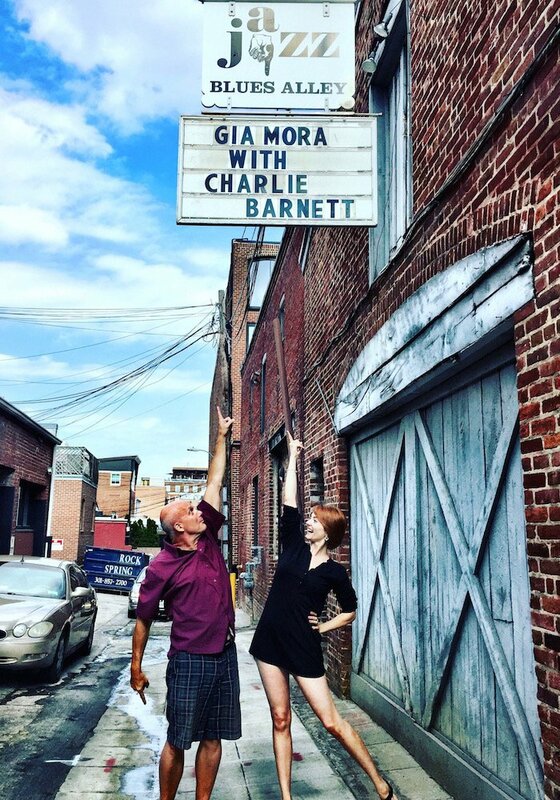 Eschewing the All-Star Game on television, Lily and I headed on down to Blue’s (sic) Alley to hear and see the luminous Gia Mora perform the songs of Hoagy Carmichael. Gia Mora is an embarrassment of riches. Synesthesia is the neurophysiological gift that allows one to see certain musical notes as individual specific colors, quite literally to hear cerulean, or to see a G above high C as orange. Gia is as equally evocative. No one so beautiful should have such an amazing, rich, nimble, varied and well-phrased voice. Nor should anyone so talented also be so intellectual and wryly funny. Nor should anyone that smart be so likeable. She is entertaining in the very immediate sense that is true of great performing artists, but also in the way that a good book reaches your mind, as a layered narrative that unifies many disparate and varied intellectual and aesthetic elements. She sings in several different keys, and I also mean that as a metaphor. You cannot take your eyes off of this chanteuse, nor keep her songs from affecting you on so many levels. The whole world is contained in her performance. If you are anywhere near Baltimore tonight, 13 July, go see her at Germano’s. It was the most fun I have had at Blue’s (sic) Alley in thirty-some years, since I hung out one night with Dizzy Gillespie, but that is another story.